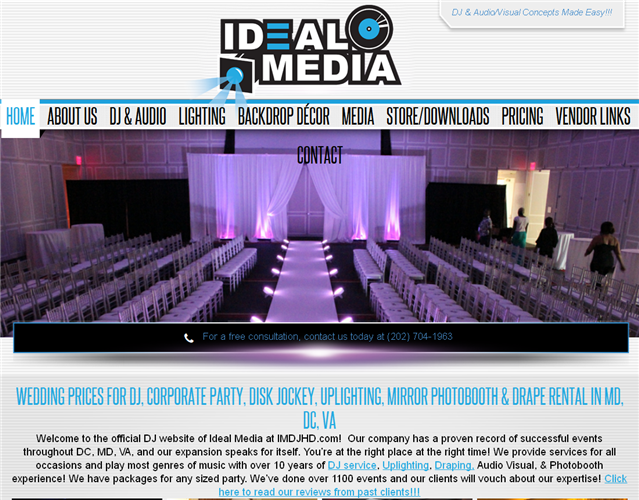 "Welcome to the official DJ website of Ideal Media at IMDJHD.com! 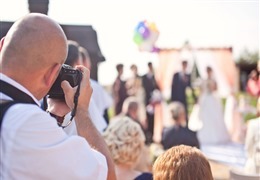 Our company has a proven record of successful events throughout DC, MD, VA, and our expansion speaks for itself. You’re at the right place at the right time! 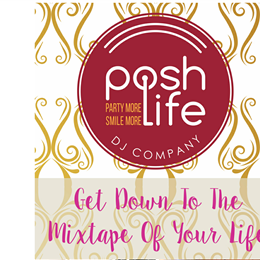 We provide services for all occasions and play most genres of music with over 10 years of DJ service, Uplighting, Draping & Audio Visual experience! We have packages for any sized party. 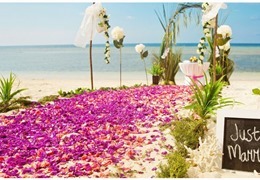 We’ve done over 1000 events and our clients will vouch about our expertise!"